Keep your promotions out of the gutter and advertise your bowling event like a pro when you print Bowling League Flyers and post them in advance. 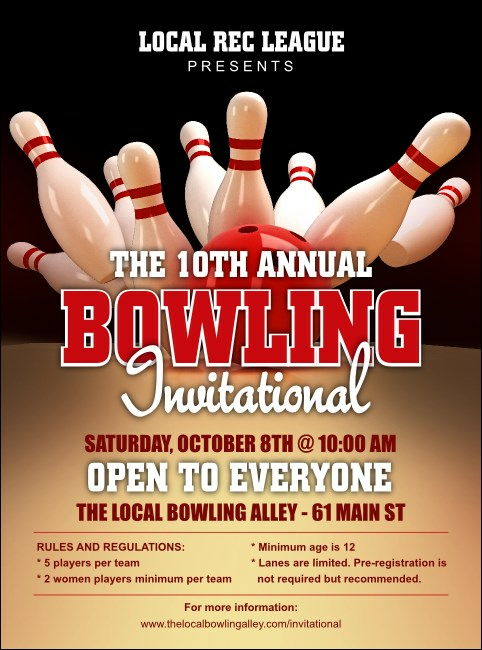 These sleek Flyer templates show a cherry red bowling ball slamming into a line of pins against a black background, and include up to sixteen lines of text for all your sporting event details. Make it look professional at TicketPrinting.com.